It was really really good. The sound healing session with the practitioner at her private sacred site was a good addition to the tour spots that we went to and the energy of each site we went to sort of flowed into each other seamlessly. I was very satisfied with it all. I am sure you do not remember my family, but we took one of your tours way back in 2003 or so, and really enjoyed it. We look over our photos often, and are thankful for the insight and information you shared with us during those 4 or 5 hours. I just wanted to thank you for sharing those magnificent sights and all that history with us- it will be with us the rest of our lives! Your tour was so very special to us- our children still remember going into the underground vault, and seeing the magnificent statues and carvings. It was a very moving and beautiful moment for us, and definitely added to the memories of our holiday to Scotland. 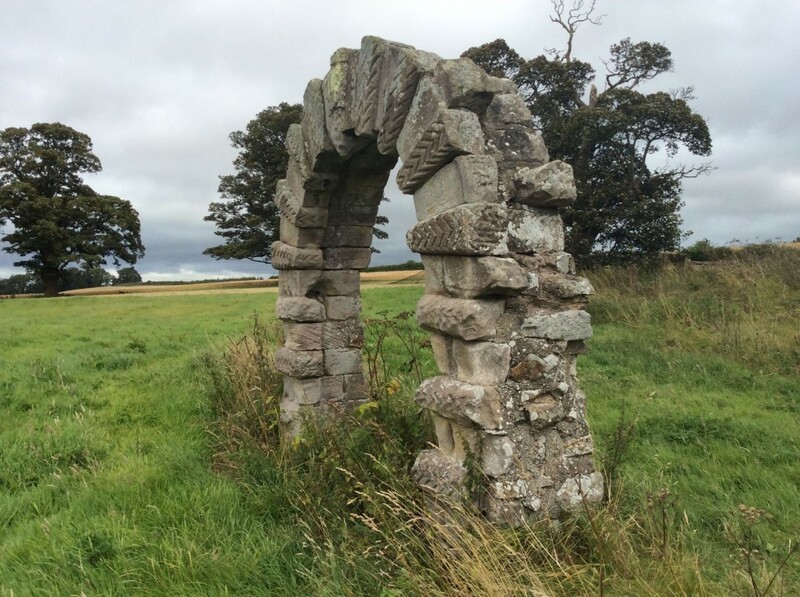 The Sacred Scotland Tour includes many sacred sites connected by ley lines and legends. Enjoy a special private tour of Rosslyn Chapel in the Scottish Lowlands combined with an equally special tour of the Scottish Highlands. Book your magical journey through the heart of Scotland to connect with the spiritual essence of the land. This four day tour of Sacred Scotland take in magnificent scenery and wonderful sites. 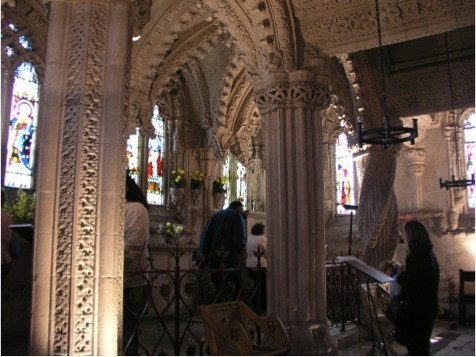 Your journey culminates in a Rosslyn Chapel tour after exploring some of the most sacred sites in Scotland. Sites are energetically connected to Rosslyn Chapel via ley lines and shared history. Enjoy a profound sound healing session with a therapist on the sacred river Esk near Rosslyn Chapel (optional booking). Many clients have benefitted greatly from this session. Days 1 and 2 are spent in the Glen Lyon area where the early monks from Iona walked the routes of the ley lines. Some early artefacts still remain from this period. Glen Lyon is also one of the most untouched areas of Scotland. Its fairy energies are very strong, so it is an ideal place if you want to spend time wandering through nature. The history of Glen Lyon is very unusual and points to it being special. This is sacred Scotland at its very best! Days 3 and 4 are spent in Midlothian visiting sites that historically and energetically connect with Rosslyn. They also link with the sacred sites we visited in the Scottish highlands via ley lines. Sites include Holyrood Park and a secret garden, underground chapels and Templar graveyards, ancient vaults, stone circles and ancient trees. As your guide Jackie has written two main guides and other books on Rosslyn Chapel that have been on sale there since 2007. They point out many spiritual aspects to Rosslyn chapel and surrounds. Scotland is a very special land masse and connects to many places on a global scale. The Knights Templar, the early Christian monks and other mystics all recognized this. We follow the connection between Glen Lyon/Schiehallion and Rosslyn Chapel/Roslin Glen/Edinburgh. Learn of ley lines that are connected to a deep, metaphysical version of the Holy Grail. They form an earth grid, whose purpose is to anchor energies that link in with the Metatronic realms. In Sacred Scotland the ancient sites manifested human events derived from the transforming cosmic energies. Meanwhile places like Roslin Glen still anchor the all important devic realms (nature beings and elementals and deep inner earth hierachies). 4 days £1000 + car hire, accommodation. Price quoted for car groups / individual. Deposit £300. I had two wonderful days with you and want to thank you. The healing put the finishing touches on such a beautiful experience, putting it all together for me. I look forward to going to Rennes Le Chateau with you later.